At the Annual Lakeview East Annual Meeting, we celebrate the successes of the previous year and present planets . At the Annual Meeting we also present and vote the new Board of Directors. This event is a great opportunity to learn more about the Chamber, mingle with other businesses and get involved in upcoming chamber initiatives. Click here for pictures from the last Annual Meeting! 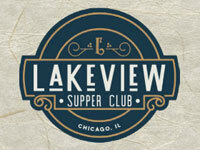 Every year the Lakeview East Chamber of Commerce offers an opportunity for restaurants to send their employees to manager certification and summer sanitation classes. These are held at a local business for a discounted rate. 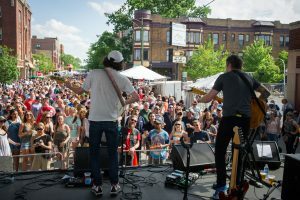 Beyond music, there’s plenty of food, beer, wine and the handiwork of city and regional artists. Click here for pictures from the last Festival! Join us at the 50th Annual Pride Parade on the North side of Chicago. The parade spans from Uptown, moving South through Lakeview and ending in Lincoln Park. 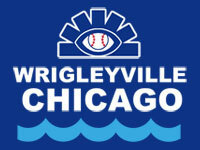 The Chamber hosts an Annual VIP Viewing Party and has a float featuring local businesses. Click here for pictures from the last Parade! 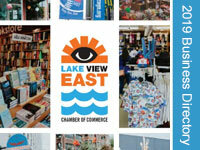 The Lakeview East Chamber of Commerce partners with local businesses to host a community Wine & Sweets Stroll! Wine distributors will be sampling their wines inside retail businesses throughout Lakeview East. Sweets shops in the neighborhood will also be sampling sweets along the routes. Must be 21 or older. 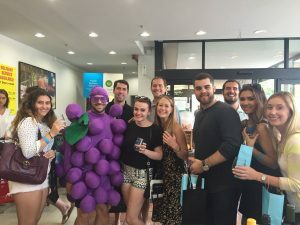 Click here for pictures from the last Wine & Sweets Stroll! 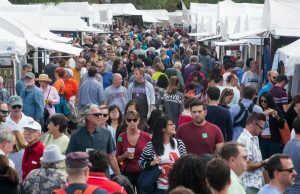 The Lakeview East Festival of the Arts is Chicago’s premier fine art festival showcasing over 125 juried artists. In 2017, The festival was rated #1 Fine Arts Festival in Chicago, and #2 in the state of Illinois by AFSB. 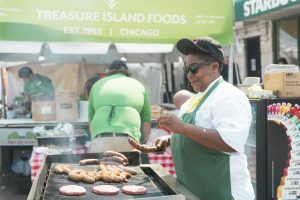 Each year the festival attracts over 45,000 attendees from all around Chicago, northwestern suburbs as well as patrons from all around the country. 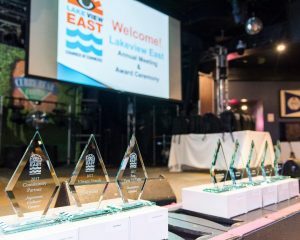 Every aspect of the festival, from artists to musicians to vendors and everything in between, is specifically selected by the Lakeview East Chamber of Commerce in order to bring the best to the heart of Lakeview. The Lakeview East Festival of the Arts features paintings, sculptures, photography, furniture, jewelry and more. These original pieces are for sale in a wide range of price ranges. In addition to the art, the Festival has become a center of activity for the weekend with live demonstrations, entertainment stages, family activities, local food and refreshments and an iconic garden oasis. 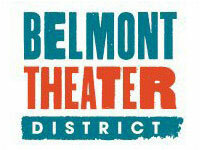 The festival is located at the intersection of Belmont & Broadway. Click here for pictures from the last Arts Festival! 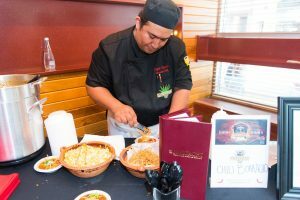 Sample chili from a variety of Lakeview East restaurants and vote for their favorite to win the competition. Enjoy drink samples from Jack Daniel’s, enter to win fun giveaways and sip on your favorite cocktails while tasting great chili. Click here for pictures from the last Cookoff! Area families trick or treat at local businesses! 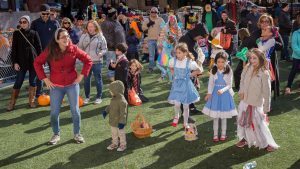 Hosted by Nettelhorst School, this event features free family fun, candy and treats, Halloween bags, hayrides, arts and crafts, face painters, balloonists, games and photos! Click here for pictures from the last Hoopla! 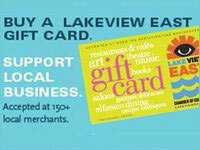 Spend locally this holiday season and earn a $50 shopping reward from the Lakeview East Chamber of Commerce. 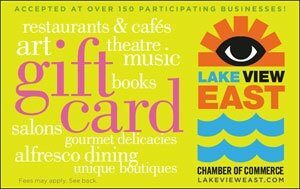 Your Lakeview East gift card can be redeemed at over 185 local businesses. While supplies last. The Lakeview East Chamber of Commerce partners with Treasure Island Foods for our Annual Holiday Tree Lighting Ceremony. Enjoy complimentary hot cocoa and roasted chestnuts, a live ice carving demo, a caroling quartet, a holiday movie projection, photos with Santa and more! This event is FREE and open to the public to enjoy! 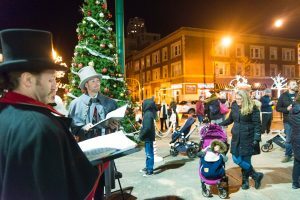 Click here for pictures from the last Tree Lighting! Purchase gift cards between noon – 3pm for 25% off! 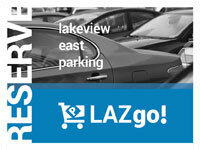 You can stop in either Chamber office during those times (3138 N.Broadway, 3208 N. Sheffield) or purchase online. Stop in over 30 local businesses and sample holiday treats between Noon – 4 p.m.